After seeing Whip It at TIFF, i am fascinated with roller derby. Luckily there is a roller derby team here in Rochester. 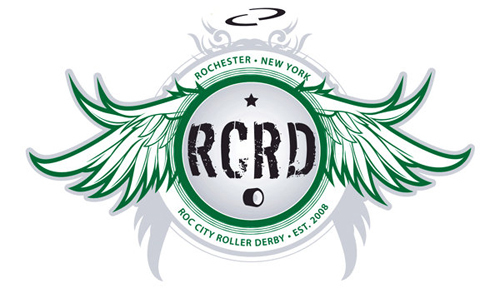 The Roc City Roller Derby. AND they have a competition on Saturday! AND the proceeds benefit two animal shelters! Win. Win. What did you think of Drew's dress? I saw a lot of bad reviews of it but I thought she pulled it off. I thought it looked great! It was really cool in person.